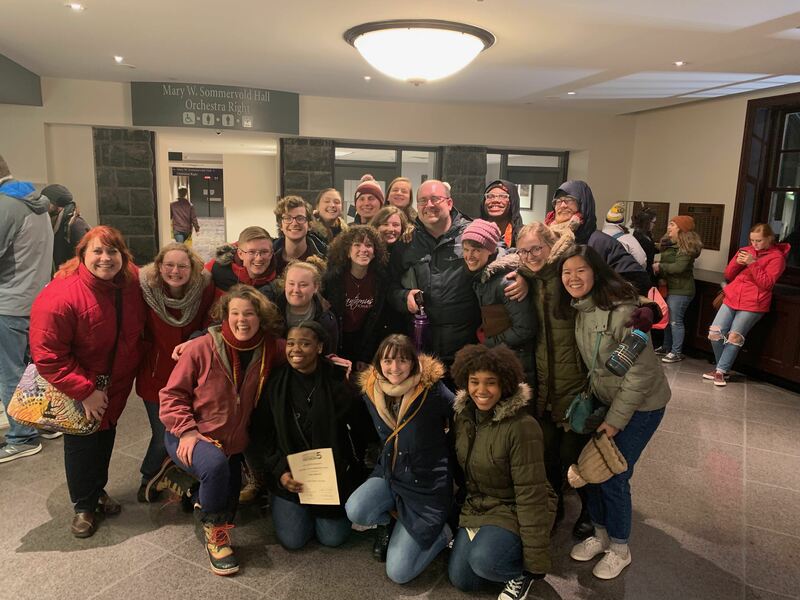 ISU Theatre students, faculty and staff represented Iowa State at the 2019 Kennedy Center American College Theatre Festival. 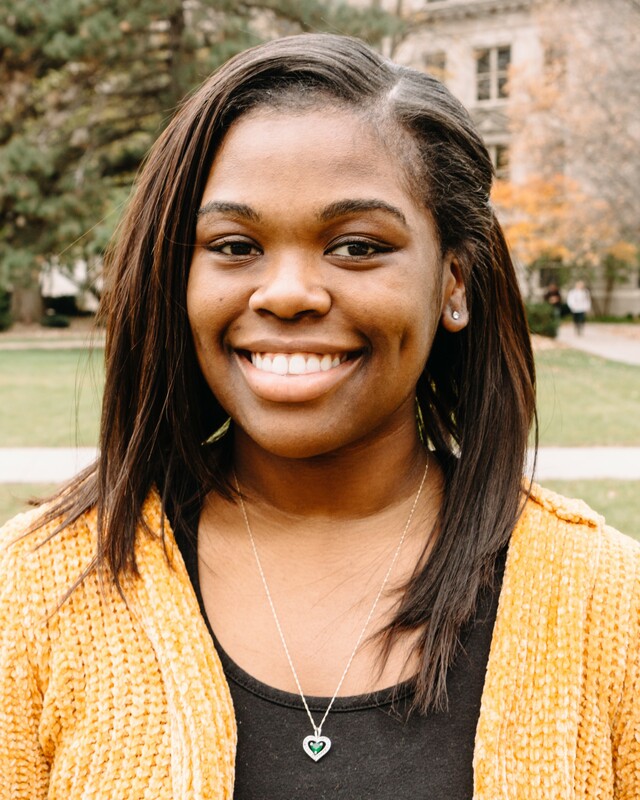 Joi Wright (’19 performing arts) recently took first place in the Kennedy Center American College Theatre Festival (KCACTF) Region 5 ASPIRE Arts Leadership Fellowship. Wright will represent Iowa State this April as the top Region 5 student arts leader at the National Festival held at the Kennedy Center in Washington, D.C.
Wright participated at the regional festival, held in January in Sioux Falls, South Dakota, along with more than 1,500 college and university students and faculty from the Region 5 states of Iowa, Minnesota, Nebraska, North Dakota, South Dakota, Kansas and Missouri. Eighty-nine different colleges and universities were represented at the 2019 Region 5 festival. In addition to Wright, more than 50 Iowa State students and faculty members attended the Regional Festival in Sioux Falls. Many of them also received honors and awards. ISU Theatre’s production “Iphigenia,” directed and co-adapted by Assistant Professor of Theatre Amanda Petefish-Schrag, performed to sellout crowds and standing ovations as one of the six productions invited to be fully mounted at this year’s festival. For his significant service to KCACTF Region 5, Director of ISU Theatre Brad Dell was awarded the Kennedy Center Gold Medallion, which is the most prestigious award given by KCACTF and one of the highest honors in academic theatre. The Irene Ryan Acting Scholarship Auditions is one of the largest events at the festival with more than 600 student participants. Samantha Schmitz (’20 music education) and her partner Morgan Sacia (’20 music) advanced to the semifinal round of the Irene Ryans. Zachary Smith (’20 music) performed as a finalist in the Region 5 Musical Theatre Intensive, and Doris Nash, ISU Theatre costume shop supervisor, displayed her costumes for “Orpheus in the Underworld” during the annual Region 5 Costume Parade. Dell is the immediate past chair of KCACTF Region 5, and Senior Lecturer Kelly Marie Schaefer serves as the Region 5 chair of design, technology, and management. ISU has previously hosted the festival in Ames four different times in 1999, 2007, 2011 and 2012. KCACTF is a national organization administered by the Kennedy Center in Washington, D.C. The organization celebrates and encourages excellence in college and university theatre across the country.